The international development community is increasingly looking to the private sector as a key partner for achieving sustainable development results. Private firms and foundations are seen as a source of innovation, expertise and finance to be harnessed in addressing development challenges. 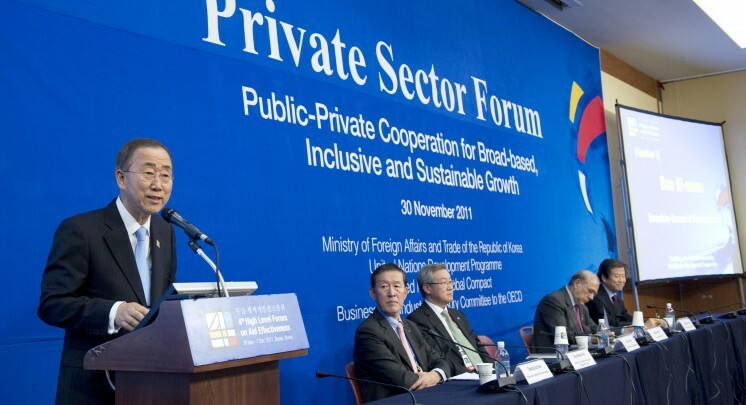 The private sector is also playing a greater role in international discussions on aid effectiveness and in the establishment of the post-2015 framework that will follow the Millennium Development Goals. These trends signal an important shift where by the private sector is not only being afforded greater space to contribute to international and national policy discussions on development cooperation, but is also expected to serve as an important development partner. While providers of official development assistance have promoted private sector development for a number of years, the more recent focus on partnership with the private sector, and its implications for development policy and practice, deserves further research. The North-South Institute’s work on the private sector in development includes two main projects. This project examines the policies and frameworks through which development cooperation actors engage the private sector in development. This project looks at models of partnership between civil society, the private sector and the public sector. It examines challenges and opportunities offered by different partnership models, and provides recommendations to practitioners and policymakers on how the value of cross-sector partnerships can be maximized for development results.